5. I am grateful for the best mother in all the land. Happy Mother’s Day Mom! Yes! 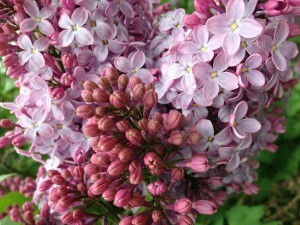 The Lilacs are blooming in my front yard, and they smell heavenly! Lisa I wish I could bottle the aroma. They are only here for such a short time and I love how they smell. I’m so grateful for God’s love, grace and mercy! Really!!! Without them, I wouldn’t make it! Absolutely yes! So true for all of us. I love this! Made me think of all that I’ve got to be thankful for. Happy I was able to put a smile on your face Angela! I am grateful for: learning experiences, the invitation for perseverance, and hope. Love your gratitude list Stacia!